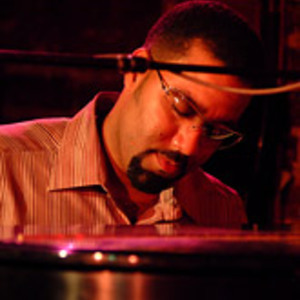 Renowned jazz keyboardist, composer and producer Marcus Johnson continues to stand strong with his latest CD titled Poetically Justified, released June 2, 2009 with a debut at #10 on the Billboard Contemporary Jazz Charts. Poetically Justified marks Johnson's eleventh solo jazz record and is Johnson's most unique and multifaceted album to date. His experience and passion provide the perfect platform for this newest musical masterpiece, best described as a combination of smooth urban jazz with a slice of funk. Poetically Justified marks Johnson's eleventh solo jazz record and is Johnson's most unique and multifaceted album to date. His experience and passion provide the perfect platform for this newest musical masterpiece, best described as a combination of smooth urban jazz with a slice of funk. Poetically Justified is introduced with musical force in the funky opener ?Chillaxin? which emphatically sets the tone for this CD and follows with two in-the- pocket jamming upbeat tracks -- ?Capice? lead by the signature voice of hit R&B vocalist Miles Jaye, and ?I See You? featuring Grammy winner jazz saxophonist Najee. ?Master of My Heart? is lead by the sultry vocal stylings of Incognito's Maysa, and is a beautiful romantic ballad produced by Johnson and Raheem Davaughn producer, Robbie McDonald. This song is currently in heavy rotation on adult contemporary radio WHUR in Washington, DC. These four songs set us up for an explosive journey that continues with some great original tracks ? Danni's Song; the bouncy staccato horn driven Ellicott City; the beautifully produced and performed ?Cherish the Journey? and Maysa's upeat performance on ?Hold On?. Johnson's admirers will adore the snazzy cover of John Legend's smash hit ?Used to Love You? and his funky cover of Michael Jackson's hit ?This Place Hotel?, the lead single for smooth jazz radio and Floetry's ?Say Yes?. Miles Jaye returns to the listener in the album's closing number, with the top Billboard single, ?Heaven? from Jaye's acclaimed record, Irresistible. Prior to the release of Poetically Justified Johnson's most recent project was the groundbreaking Billboard Top 15 Contemporary Jazz FLO series. The series consisted of three distinct albums released simultaneously in September 2008, ? FLO: Chill (#7), FLO: Romance, (#7) and FLO: Standards (#2). Johnson's previous 2007 solo release, The Phoenix, was widely lauded by jazz critics and aficionados alike. Just as with Johnson's 10 previous albums, The Phoenix peaked at #6 on Billboard's Contemporary Jazz charts. Johnson's educational background compliments his career success story as both an artist and entrepreneur. While pursuing both a JD and MBA at Georgetown University, Johnson independently produced and distributed his first album in 1997, Lessons in Love. The album went on to sell 40,000 units ? unprecedented for an unknown artist's debut release. Lessons in Love helped Johnson launch his career as a jazz musician and the CEO of Marimelj Entertainment Group LLC (MEG). During the next decade, Johnson would release several critically-acclaimed albums: Inter Alia, Chocolate City Groovin', Coming Back Around, Urban Groove, In Person: Live@ Blues Alley; Just Doing What I Do, Smooth Jazz Christmas, and In Concert For a Cause, all of which charted at Top 20 or more on Billboard's Contemporary Jazz Charts. Over the course of his career, Johnson has shared the stage with many music legends including BB King, Boney James, Kim Waters, Peabo Bryson, Dr. Billy Taylor, Diana Krall, Erykah Badu, Peter White, Miles Jaye, Rick Braun, Norman Brown, Chaka Khan, Arturo Sandoval, Chuck Mangione, Marion Meadows, Rachelle Ferrell, Mike Phillips, George Duke and Jeffrey Osborne. Having performed at many of the world's most famous festivals and venues, Johnson's resume boasts appearances at The Capital Jazz Fest, Bermuda Jazz Fest, Trenton Jazz Festival, Philadelphia's Dell East, Atlantic Artscape, Huntington Beach Jazz Fest, The National Smooth Jazz Awards and the John F. Kennedy Center for the Performing Arts to name a few. Marcus Johnson intends to bring his love of jazz to the masses, a challenge others might see as too daunting. His ambition, ideas and love of music are the rock on which he stands, raising the art of jazz to the upper echelon of the music industry. Poetically Justified is a brilliant compilation of contemporary smooth jazz with a definitive urban groove, a work of mastery from one of the Jazz world's greatest.